This 14K gold St. Brigid's cross is a necklace that features a dimensional diamond studded design with white gold accenting. 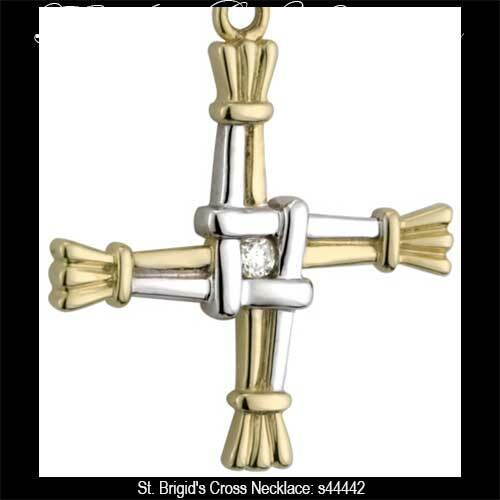 This St. Brigid's Cross Necklace has been hallmarked 14K gold by the Irish Assay Office at Dublin Castle in Ireland. 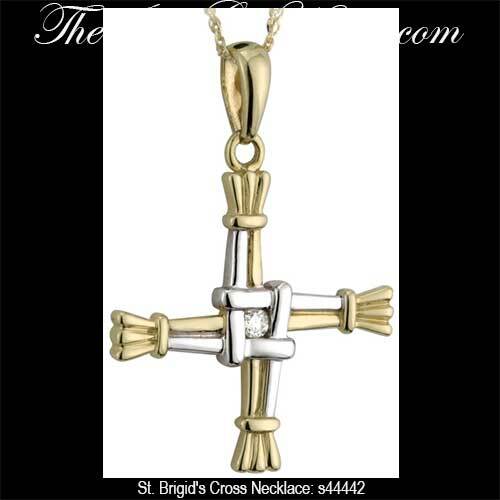 This St. Brigid's cross necklace is enhanced with a 0.025ct diamond that is set in the white gold accented center. The 14K gold St. Brigid's cross pendant measures 5/8" wide x 1” tall, including the jump ring and the bail, and it includes an 18" long 14K yellow gold chain.